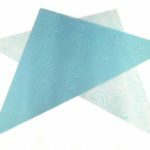 Say good-bye to clogged applicator tips and cones! 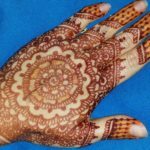 Straining henna will give you the silkiest smooth henna you have ever used. Best of all this method is mess free! If you don’t have these things, Beachcombers has an inexpensive henna straining kit with everything except the cup. Cut a small opening in the tip of the carrot bag (to release air). Place the carrot bag tip down inside your cup, folding the top of the bag over the mouth of the cup so that the carrot bag is acting as a liner for the cup. Stretch the stocking over the mouth of the cup (like a drum) so that the toe is over the cup. 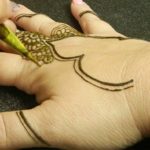 If this is the first time you’ve used the stocking, pre-stretch the stocking or it will be very difficult to push the henna through. 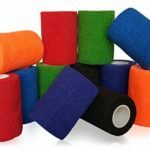 Do some serious stretching to the stocking if it’s your first time using it! Carefully glop your mixed henna on the top of the stocking, letting the toe sink into the cup. Carefully remove the stocking from the cup, letting the toe of the stocking fall into the cup while holding the leg of the stocking. 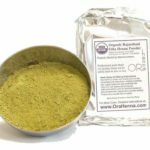 This creates a “toe of henna” in the stocking. 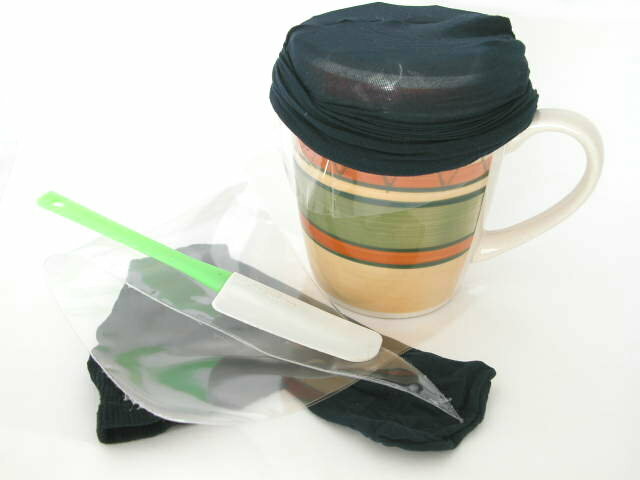 Remove the carrot bag from the cup while keeping the toe of the stocking inside the carrot bag. Firmly grip the carrot bag above the “toe of henna” while still holding the leg of the stocking outside of the bag. Slowly and firmly pull the stocking through where your hand is grasping the carrot bag, squeezing the henna out of the stocking and into the carrot bag. 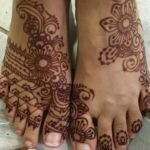 You may need to knead the “toe of henna” to squeeze all of the henna out. 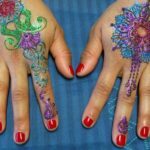 The first time you use the nylon will be the hardest to squeeze the henna through. 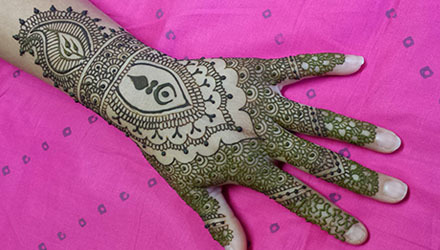 After you’ve used the stocking once or twice it will be much easier to squeeze the henna through. Take the extra time to stretch the nylon out well, before the first use. Your hand muscles will thank you! The henna left in the stocking is the henna bits that would have clogged your applicators! As an added bonus, the carrot bag makes it super easy to fill applicator bottles or cones. As applicator bottles empty while you use them, you can continue to refill them using the carrot bag. This should only take about 5 minutes or so once you’ve figured it out. It takes me less than 2 minutes for the entire process for 100 grams of henna.